The Charlotte Tilbury GLOWMO continues! 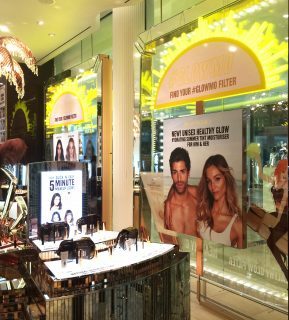 After installing the GLOWMO window displays in both Charlotte Tilbury Covent Garden and Westfield the D4R team have done it again! We have just developed, produced and installed the first leg of the travelling GLOWMO pop up shop. 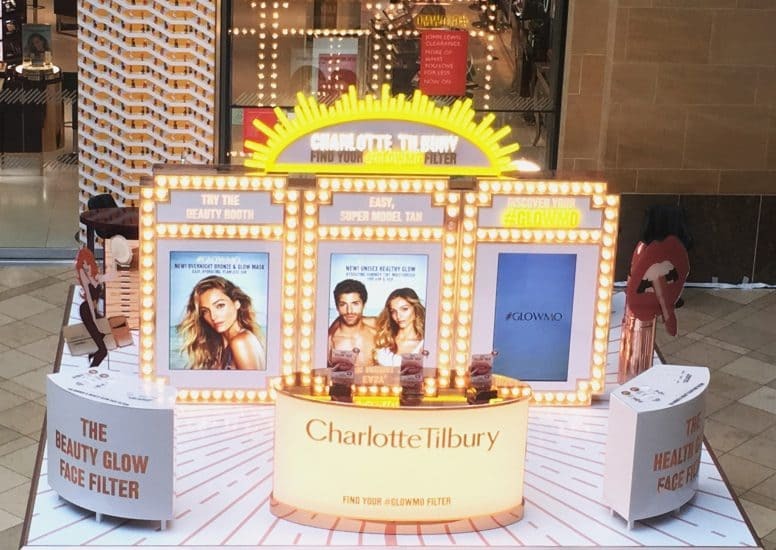 The latest Charlotte Tilbury pop up will be appearing in Cambridge, Cardiff, Bristol and Leeds. The pop up features consultation areas, make up stations and some very innovative technology. 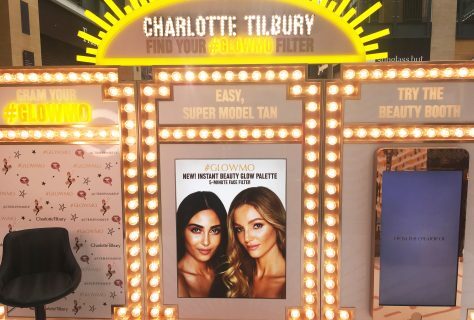 As part of the GLOWMO experience customers can take a seat at a dedicated station, take a selfie of your GLOWMO in front of the Charlotte Tilbury backdrop and your photo will appear on the interactive iPhone style screen to the side! The infamous Hollywood glamour lighting and illuminated signage is distinctive and eye catching, it will definitely create a buzz in every shopping centre the pop up travels to! 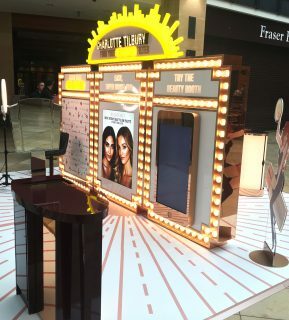 Life-sized graphics of the woman herself, Charlotte Tilbury can be seen in the space along with multiple lightboxes and digital screens displaying images that highlight the product benefits! As part of the GLOWMO promotion we have also updated the boutique windows adding more neon style lighting and lightboxes promoting the fabulous effect using GLOWMO can have to both men and women! Charlotte Tilbury certainly know how to attract customers and this pop up will of course draw a crowd!